Sisterhood is one of the main reasons University women decide to join a sorority! As a New Member of Zeta Tau Alpha, there are many opportunities to get to know your new sisters and create lifelong relationships. During your 4 years as a Zeta, these friendships will grow. Our chapter programming supports the development of sisterhood through our ongoing activities such as the Big/Little Sister program, chapter dinners each semester, Pinktober events during October, sisterhood events such as roller skating or bowling, monthly service events, movie nights, sporting events, Zeta intramural teams, Parents Weekend in Fall, Moms and Dads Weekends in Spring, and leadership opportunities within the chapter and on TTU Panhellenic Council. 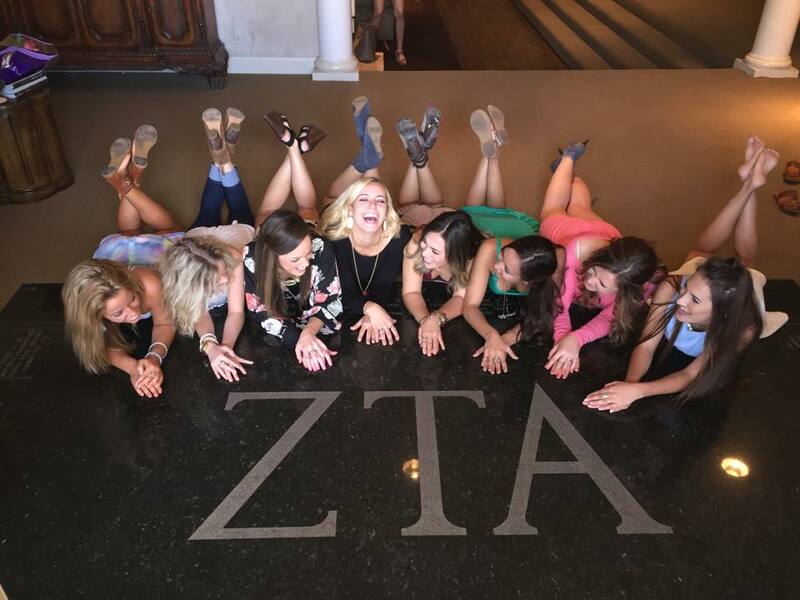 These are just a few of the ways sisterhood is cultivated as a Zeta Tau Alpha at Texas Tech University. All the fun and sisterhood of Zeta Tau Alpha does not have to end upon graduation from college. As a matter of fact, Zeta collegiate years are but the tip of the iceberg. The Alumnae world offers more opportunities for networking, leadership, sisterhood, rewards, and fun than the collegiate world. Whether you are a full-time professional or a full-time mom, getting involved in an alumnae chapter or serving as an alumnae officer or advisor can be rewarding! Alumnae involvement is an excellent way to continue your experience and realize that, indeed, Zeta Is Forever.